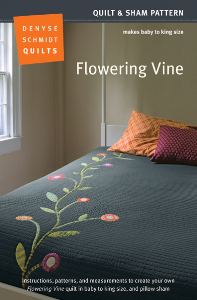 An artful and graphic fusing of old and new, Woven is a tribute to historic woven coverlets made in New England mills. 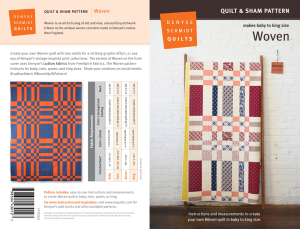 Shown on the front cover in Denyse's Ludlow fabric collection, the pattern is also instructed for two contrasting solid colors, with supplementary instructions for using print fabrics. 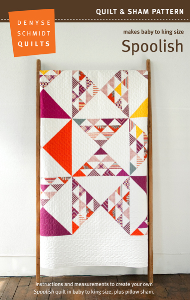 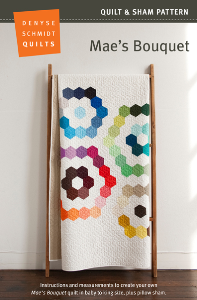 All DSQ patterns include instructions and measurements for making the quilts in crib, twin, queen, and king sizes!